Remedial massage is a form of deep tissue massage and one of the most effective ways to prevent and treat muscle injuries, pain and soreness. Remedial massage tends to be deeper and more targeted. If you have pain as a result of specific injuries: whiplash, falls, sports injuries, repetitive strain injuries, work-related problems or postural problems, remedial massage can help. Using an in-depth knowledge and understanding of anatomy and physiology, an assessment is made and appropriate treatment is provided for a wide variety of conditions. Some common conditions that can be successfully treated are: Frozen Shoulder, Back Pain, Knee Pain, Headaches, Neck Pain, Achilles Tendonitis, Plantar Fasciitis, Tennis Elbow, Hamstring Injuries, Carpal Tunnel Syndrome, Wrist Pain, Pelvic Pain and Temporomandibular Joint (TMJ) Syndrome. 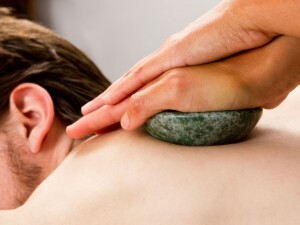 Skilled manipulation and massage techniques are used, designed to treat both deep and superficial tissues, not dissimilar to those used in sports massage; to bring about pain relief, correcting and normalizing the body’s muscles and soft tissues. Results can be immediate; certainly within a few sessions improvements should be seen. If you have a chronic condition or you are in chronic pain it is important to commit to weekly treatments for six weeks. A reassessment will be made after six weeks. As improvements are made, gradually the time between treatments will be increased, until you reach the final stage of recovery, after which you need only return monthly for maintenance treatments. You don’t need to have an injury to benefit from remedial massage, prevention is better than cure. Remedial massage is often used for regular maintenance treatments; to detect and treat minor soft tissue problems (before you even notice them) and dealing with them before a more serious injury occurs, in order to achieve optimum health. Faster recovery / pain reduction. Improved fluid circulation; blood and lymph. Formation of strong mobile scar tissue.